Put on makeup, blowdry and spray? Gladly, again and again every day. What sounds like a beauty regime is actually the daily routine at Chocolaterie Amelie. Here, real chocolatier crafts meet the lightness of being. And visitors meet a family that has realised its dreams between aphrodisiac active ingredients and crunchy bites. Welcome to Kässer's melt-in-the-mouth world. The way there was varied and the courage to act was the first secret recipe: "We never knew what to expect. We often said: We'll just do it." 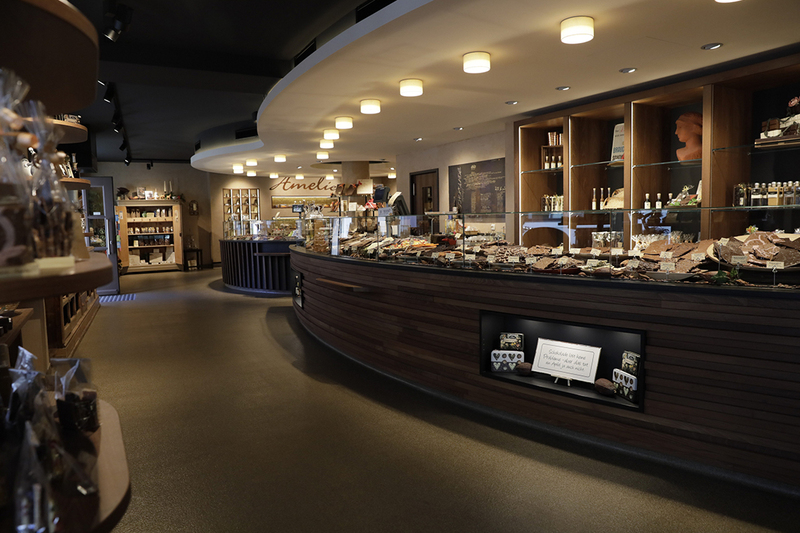 From a classic cream gateau café to a revolutionary bistro to producing chocolate for the first time. From ironed frilly aprons to creative lunches to hand-tempered chocolate. What started as a passionate hobby has today become a personal life's work: Two shops, a factory made of glass and over 1000 delicious treats on offer. Chocolaterie Amelie is a true paradise - for the son Linus too, who is the creative head of production. Between the young ladies nimbly twisting bags, he experiments with enticing materials. New praline fillings such as apricot and thyme astonish the father and cause one's taste buds to explode. "Ahoi Brause was yesterday, Knispel nougat is today." From "can I lie under that? to "can I have myself locked in here?, everything is included. But, it's worth moving away from the pane. Because the sales floor is like an art exhibition. In the gigantic display, more than 55 varieties of handmade chocolate bars and over 60 types of praline set the scene. On an old factory bank, there is a group of hammers, pliers and rusty nails. It is so amazingly realistic that it often falls victim to the use test. The Alpine huts section is home to the Bavarian collection. 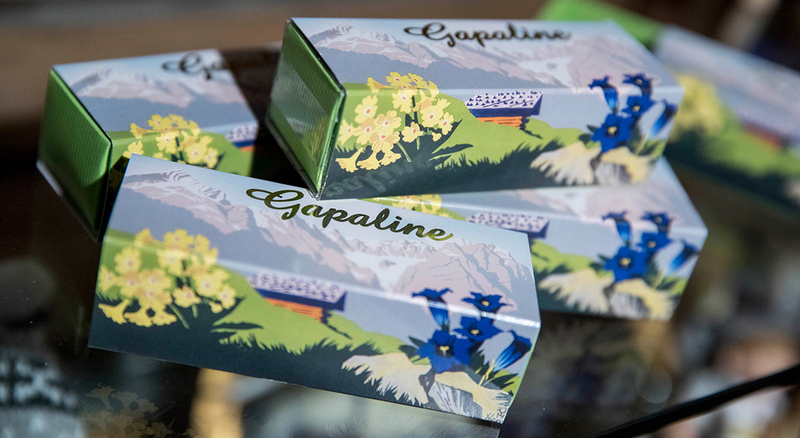 Garmisch Partenkirchen Alpine herbs chocolate, also known as 'Gapalade', refers to humorous nonsense. And in the Zugspitze corner, the entire composition is impressive: A replica of the famous summit cross weighs 90 kilograms, is two metres high and was poured as a single mould that took 60 hours by hand. Of course, this one-off creation remains in the shop but the small reproductions can be purchased. Anyone who would like to stay on later at the chocolate paradise can register for the "journey into the world of chocolate". These and other course offers satisfy one's hunger and quench one's thirst for knowledge. This is also as very important for master confectioner Franz Kässer. The next chocolate art work is already in planning. A little hint - it is quite large and the original is at a hillside location. But whatever the future brings, the present is quite an impressive sight: a genuine chocolatier craft experience, a chance to look behind the scenes and recharge with happy hormones.